NOVA Titan All Black: the one-hand watch “for advanced users”. Are you familiar with the UNO principle that Klaus Botta developed back in 1986? The NOVA takes the pared-down approach to displaying the time one step further: the dial does without any subdivisions whatsoever between the twelve hour lines. The space between two hour lines can be seen and immediately understood as a “timeframe”. With a diameter of 40 mm, the NOVA Titan All Black is the smaller, more compact and more delicate version of the NOVA+ with a stainless steel case. With a total weight of just 32 grams, it is unbelievably light but highly robust nonetheless. 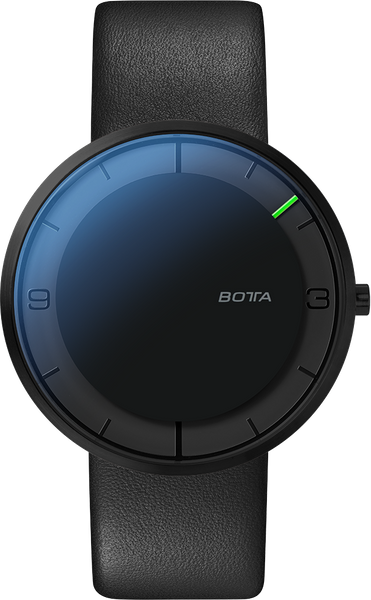 When wearing this watch from Botta-Design, which at just 4.9 mm is extremely flat yet amazingly lightweight, it is hardly noticeable on the wrist. The NOVA Titan All Black is synonymous with maximum reduction – in terms not only of its display, but also its slim dimensions and weight. The titanum case of the “Black Edition” features an extremely resistant black PVD coating which gives the watch a refined semi-gloss look. With its unconventional display principle, the NOVA Titan All Black one-hand watch is certainly not the ideal watch for precision fanatics and those who like to keep track of every second. 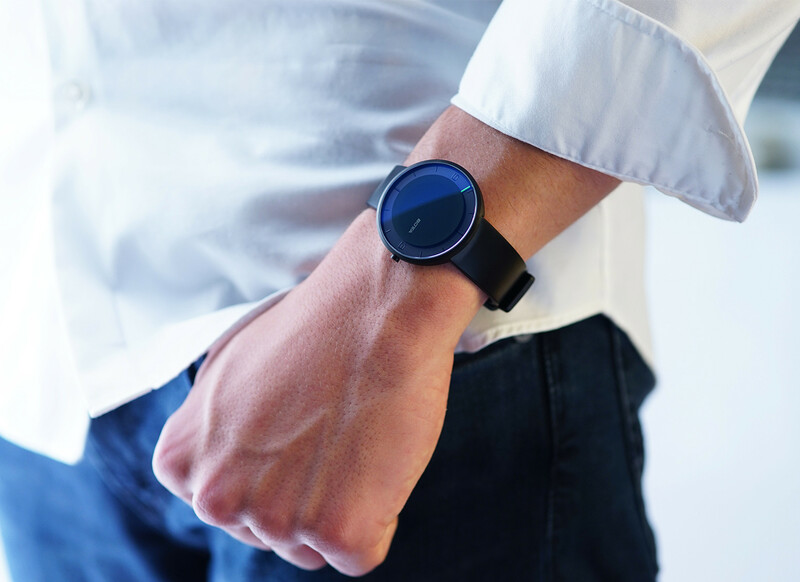 However, the NOVA Titan All Black will thus suit you all the better if you are ready to embrace a more expansive attitude to time. 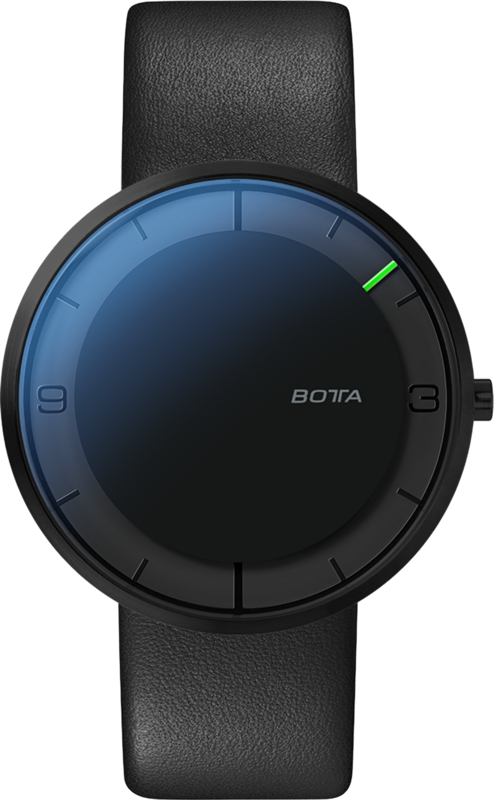 Thanks to its sleek appearance, the NOVA Titan All Black from Botta-Design is the ideal watch for anyone with a medium to slim wrist. Because the strap lugs are positioned underneath the case, it is as comfortable to wear as watches of much smaller diameter. 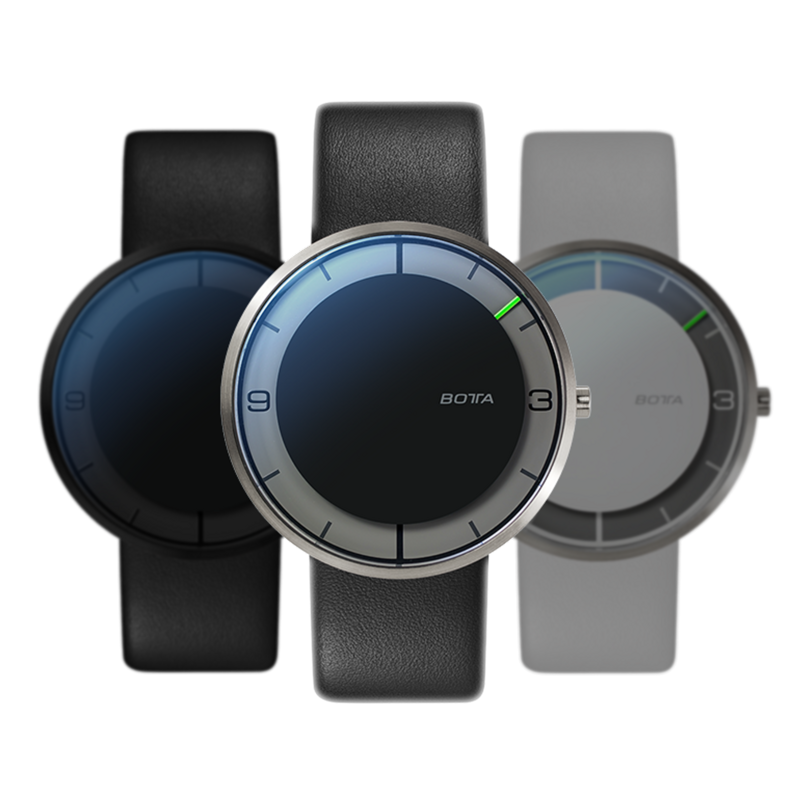 You will have to decide for yourself whether the NOVA with its minimalist display is in fact the perfect one-hand watch. What is certainly the case is that it makes a clear statement in favour of a more relaxed approach to time. 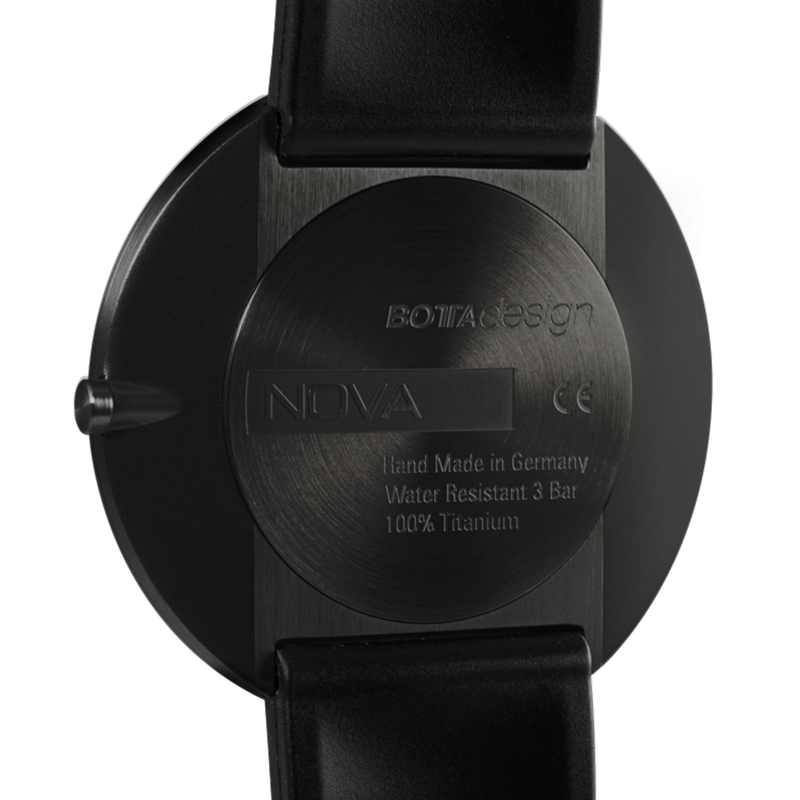 The NOVA Titan All Black one-hand watch from Botta-Design is driven by a Swiss-made Ronda quartz movement. Unlike the much cheaper “Swiss-parts” movements, the components in this movement are manufactured and assembled entirely in Switzerland. The original Ronda movement ensures that the NOVA Titan All Black will run smoothly and precisely for many years, which reflects the Botta principle of technical and design durability in its German-made watches. The NOVA Titan All Black Quartz will be shipped 0. Until then, the model can be pre-ordered at a discount of € -498. Shipment will be on a first come, first served basis.